We are pleased to announce the 1.3 release of Galicaster-PRO. 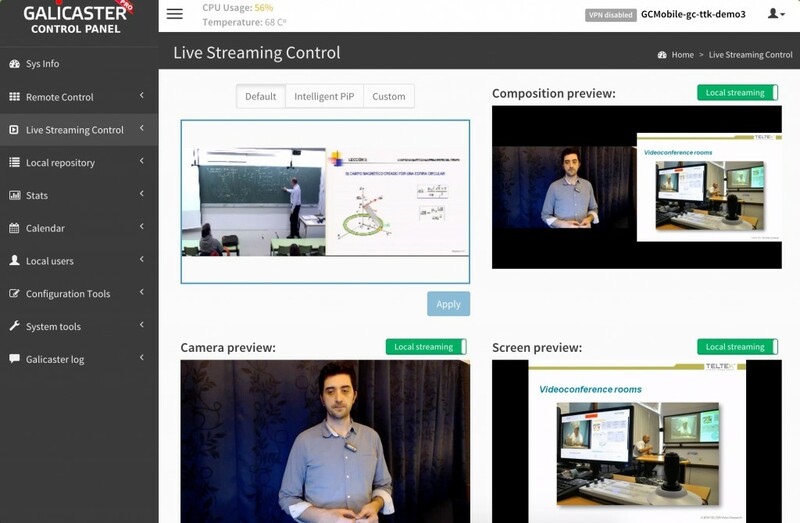 Galicaster-PRO is a powerful lecture and conference recording and streaming software. Running on the recommended Hardware it builds a fully featured multi-stream recording unit. GC-PRO is based on a compiled, optimized and enriched version of Galicaster Community-Edition Software. Lots of improvements have been done to Galicaster PRO after the last release. If you already have a previous Galicaster PRO product and you want to upgrade it, please login the licenses portal and follow the instructions. Live Streaming Control: Complete UI makeover. Allows for more flexible custom layouts and more control options. Added live streaming toggle triggered by QR code recognition. Added support for different languages in the real-time OCR module. Added the option to download a complete media-package from the repository view in the web interface. Added the option to the SBS operation to choose the audio track it will be created with if more than one track is available. Added an option in the web interface to choose which workflow will be used to ingest a recording. Added the option in the web interface trimming module to just trim the delivery copies, keeping the master files unmodified. Disabled some unused buttons in the trimming interface. Renamed the default profile and extended it so it can be used with the intelligent PiP module. Solved the issue where it wasn’t possible to create users in the web interface using Firefox. Solved an error parsing the opencast configuration after reinstalling GCPro. Several fixes to the save & restore configuration section. Solved a bug in the trimming module when quering the operation. Solved a bug where the button “intelligent pip” in the Live Streaming Control section didn’t load the right values. Solved a bug with de-interlacing some recordings. Large efforts have also taken place to provide a smooth installation experience. It’s now easier than ever to upgrade or install a capture agent from scratch. Restoring a capture agent to a known state is really easy as well. You can backup its configuration to a file and restore it whenever required. We think all these new features will make Galicaster PRO a better capture agent, but this release has been mostly focused in the overall user experience. Galicaster-PRO can be bought as part of a Galicaster Capture Agent or as a Software license. 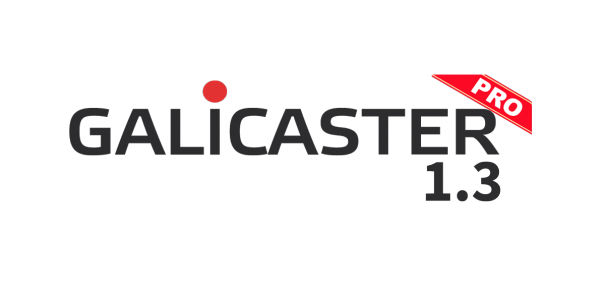 If you want to purchase Galicaster-PRO 1.3 based products please check Galicaster-Pro product page or contact us at: info@teltek.es.